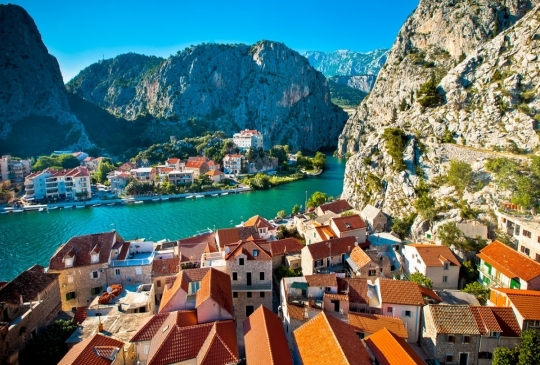 Come to town of Omiš, and experience one of the most beautiful parts of Croatia's Adriatic Coast, situated in the heart of Dalmatia. 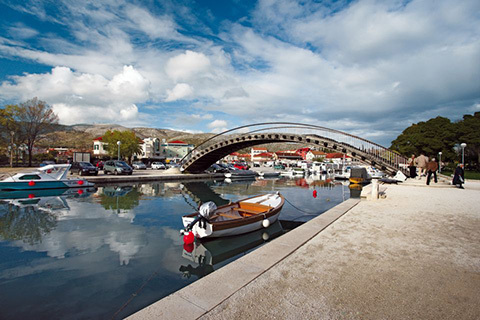 Visit Trogir, and see its unique memorial heritage, small Dalmatian towns in its surroundings, stunning beaches and nearby islands. 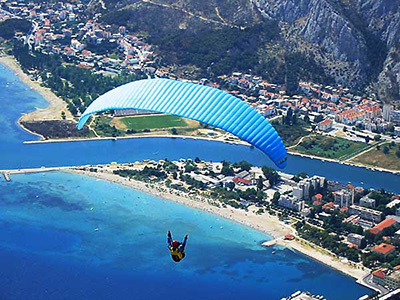 Paragliding: fly from mountain top to city beach! 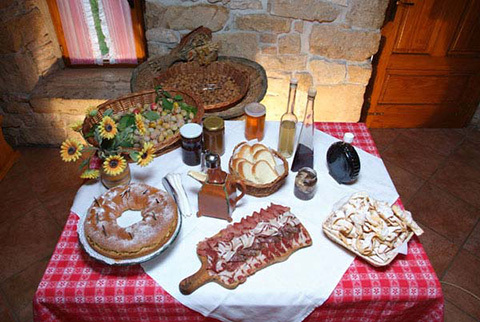 Read about specialties of Dalmatian cuisine: Dalmatian cuisine is very simple and healthy. 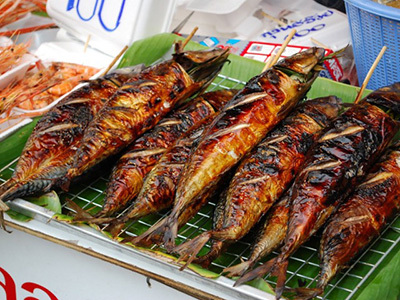 You would not believe what magic can be made with some olive oil, garlic, pepper and salt. 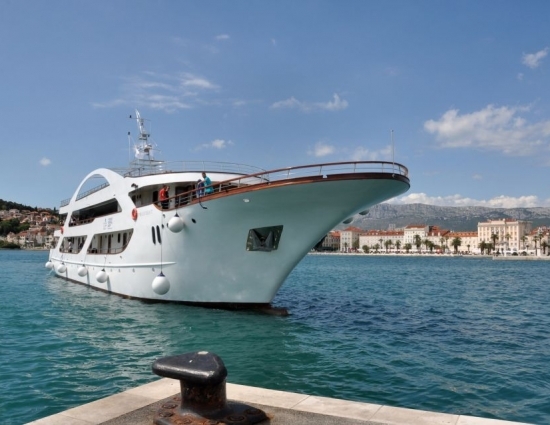 We are a tourist agency from Croatia, dealing mostly with private accommodation, hotels, pensions, rooms, camps, youth resorts and cruising. 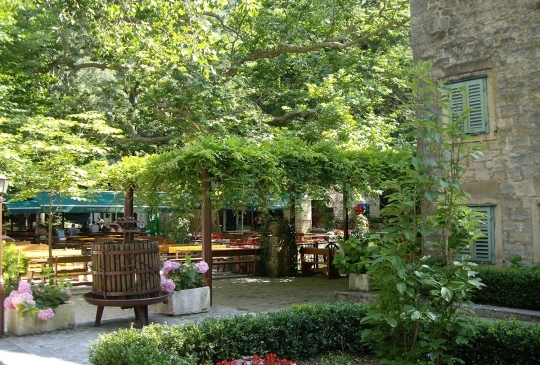 We have been doing this for 17 years now, with great success. 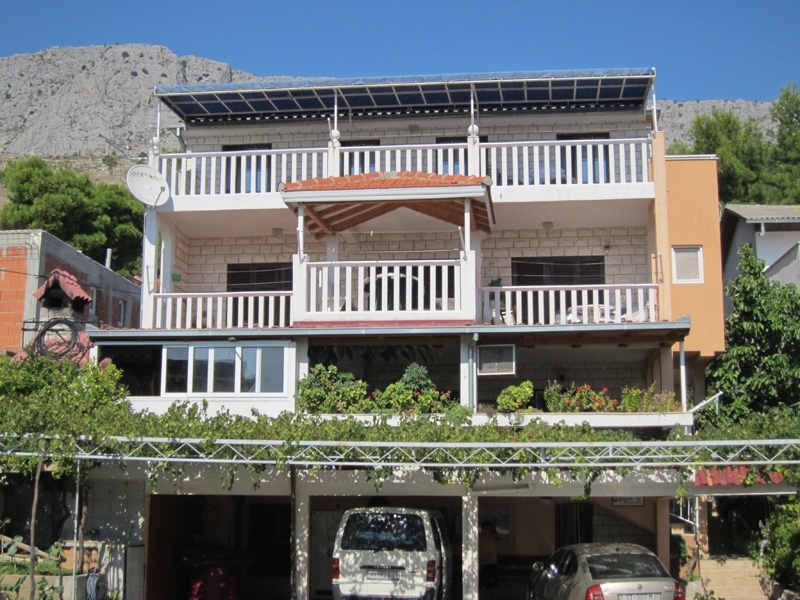 Our offices are located in Omiš and Trogir, and our employees will kindly be at your service at any time. 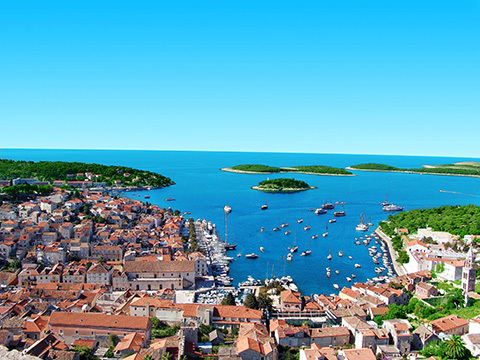 Our partners are tourist agencies from all around Europe. 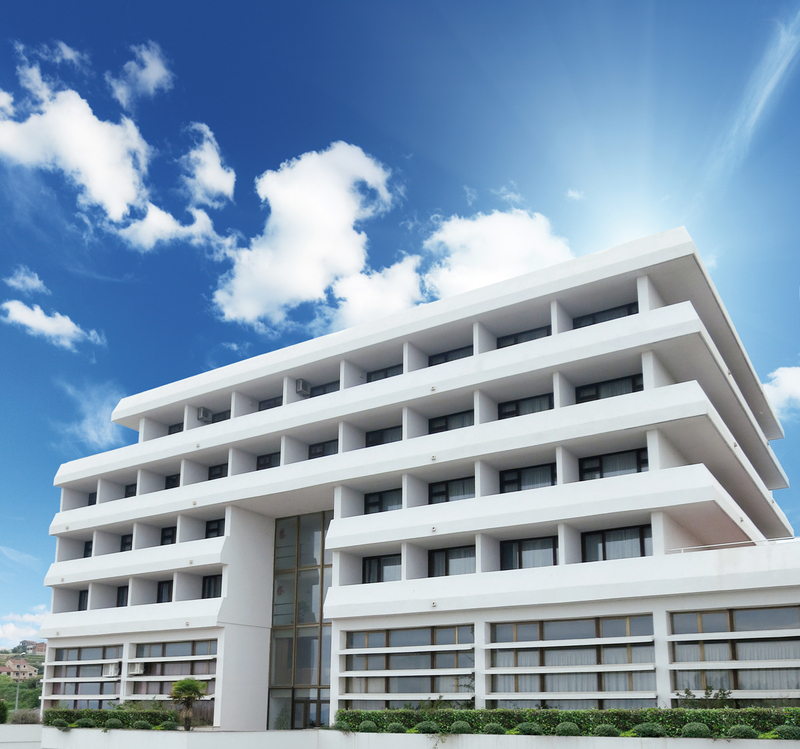 You can make a reservation of your desired accommodation unit in three simple steps: search, find and choose, book. 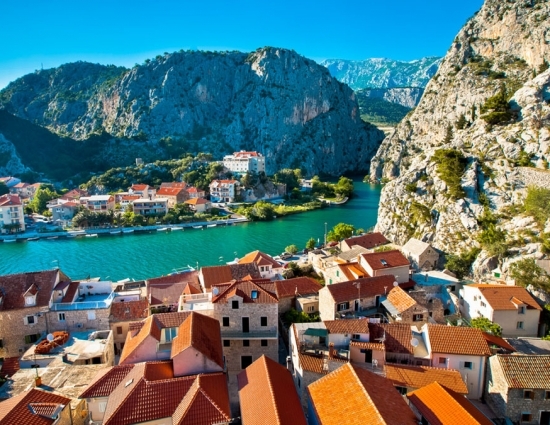 Omiš is a small Central Dalmatian town and harbor located between Split and Makarska, situated in the mouth of the Cetina River, surrounded with massive gorges. 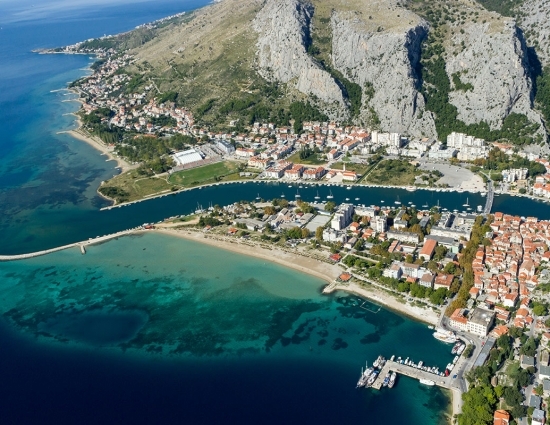 In the past Omiš was notorious because of the pirates of Omiš whose ships were a centuries-long symbol of retaliation, courage and strength. 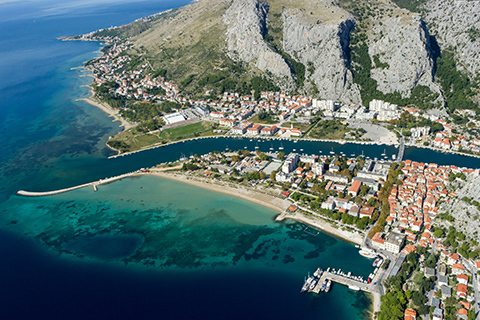 The evidences of proud and turbulent Omiš history can be found on every corner of the Omiš Riviera. Ancient town of Omiš, Omiš churches and Omiš fortresses are silent stone reminders of the power and the might of infamous Omiš pirates. 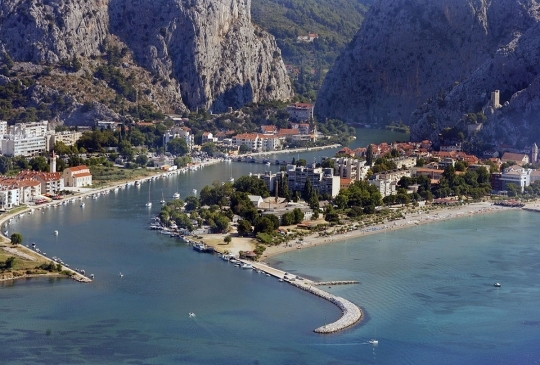 There is a picturesque resort called Radman Mills located 6 kilometres from Omiš. 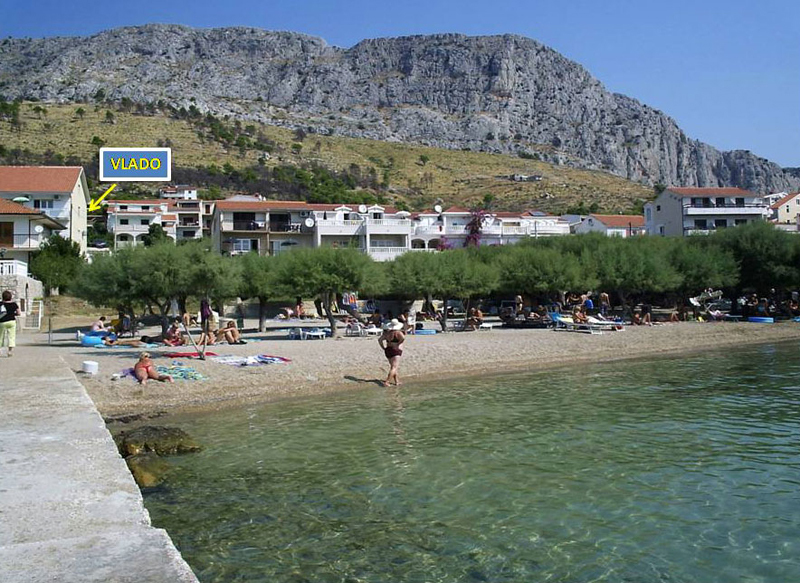 It is situated in the Canyon of Cetina River and it is perfect place for your vacation. 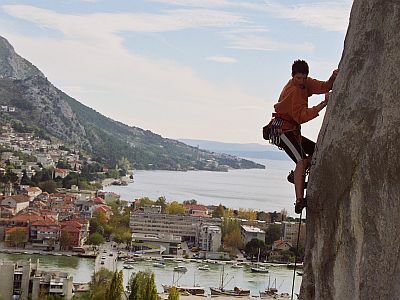 The canyon is magnificent and it is surrounded by mountains so everything looks really cool out there. 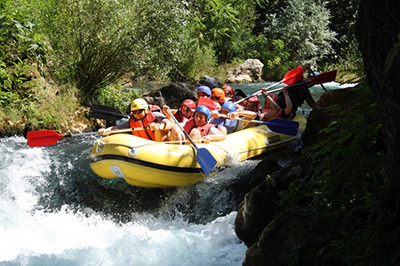 You get to enjoy crystal clean water, clean and fresh air, green woods and amazing waterfalls and rapids. 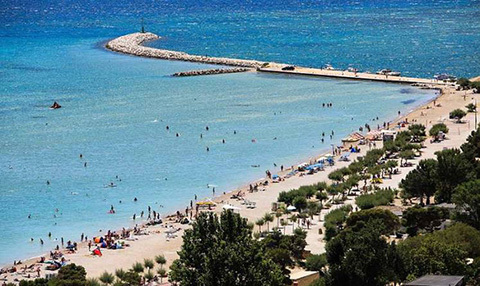 This timeless resort is very popular among tourist who like to enjoy nature, river beaches and playgrounds. 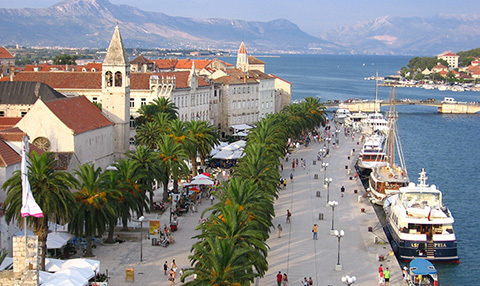 If you visit Trogir during summer, you'll probably realize that this town doesn't have a lot to offer in terms of beaches. 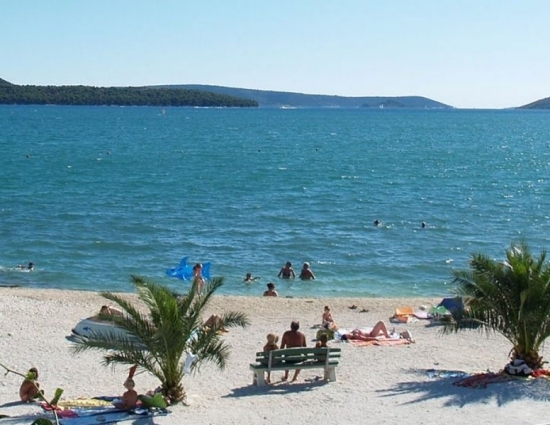 The town itself isn't essentially a beach place, but there are a lot of beautiful beaches nearby. 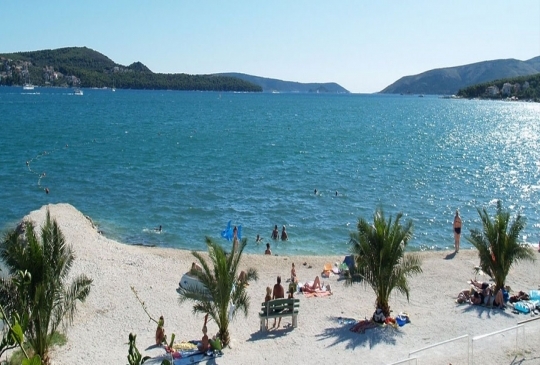 The most of town's beaches are located along the Trogir Riviera and every one of them has something to offer you. 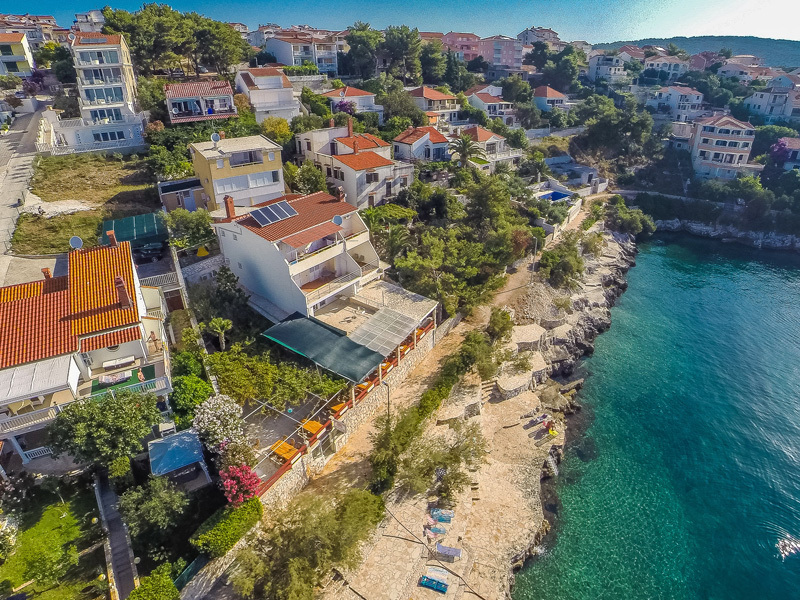 Whether you are young and looking for fun, family man or maybe a person looking for peace and quiet – you'll find your place for sure. 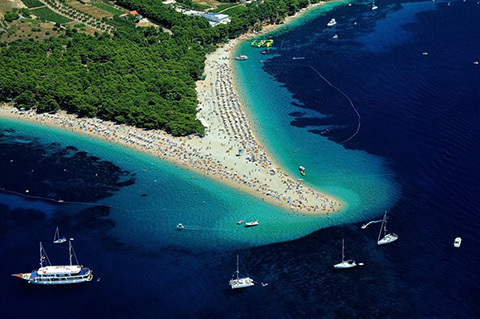 In this article, we'll mention some of the most beautiful beaches in this area. 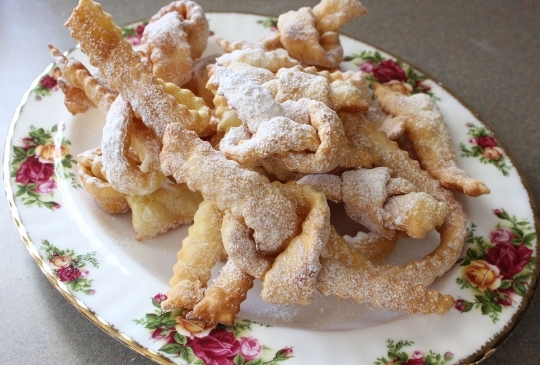 Try to resist them! 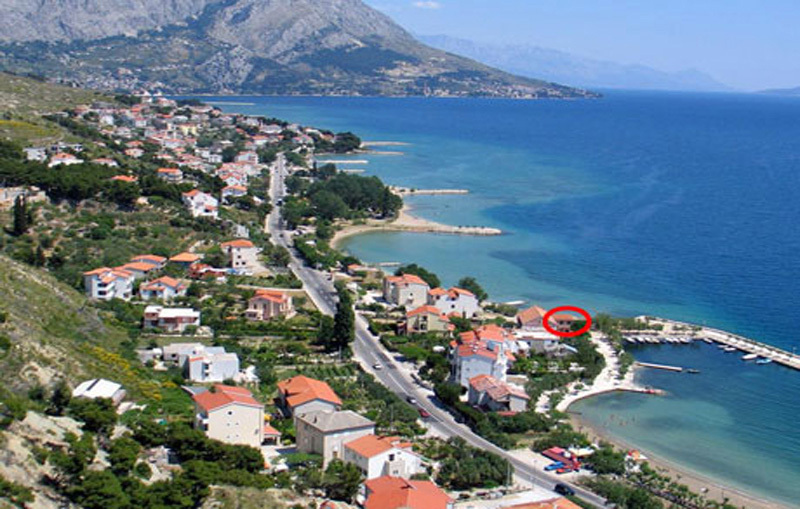 You already heard about a small little town in Central Dalmatia located between Split and Makarska, situated in the mouth of the Cetina River and called Omiš. 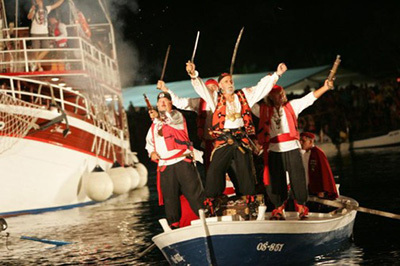 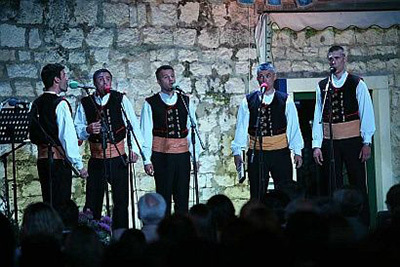 In the past Omiš was well know because of the pirates of Omiš. 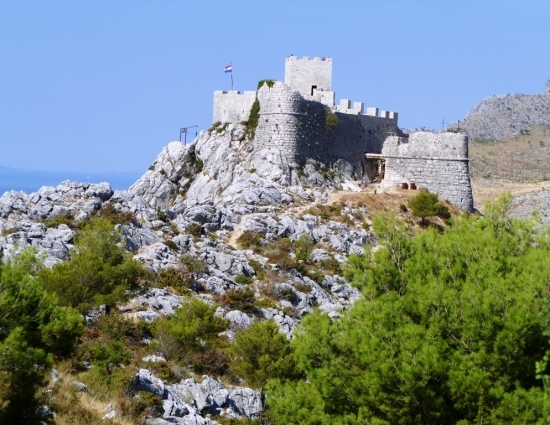 Nowdays, churches, fortresses and other monuments are reminders of the pirate’s power. 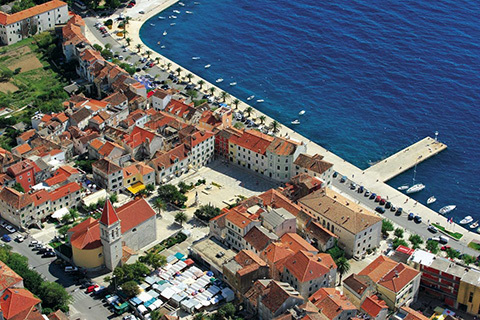 The whole old town is built of stone and it is filled with old churches and fortresses that are witness of a great history. The town was surrounded with a stone fortification, but they were destroyed during the time. 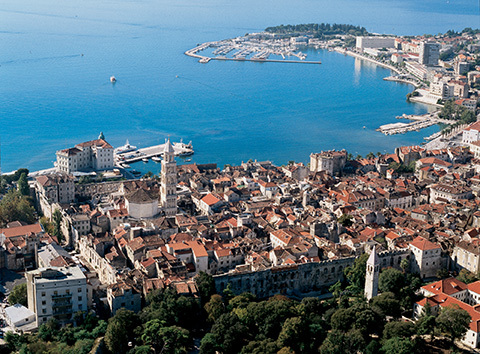 © 1996 - 2019 Plavi Horizont d.o.o.